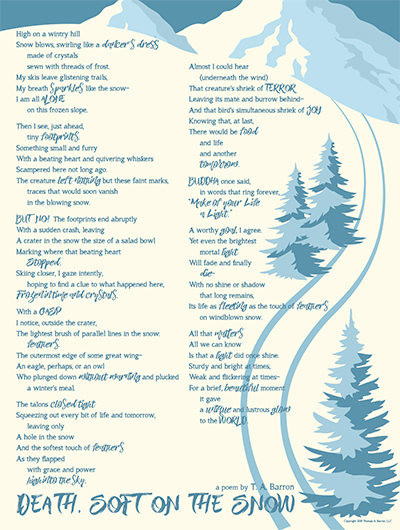 In 2017, I wrote this poem to celebrate winter in Colorado. In sharing it with you here, I hope to encourage you to look around and find inspiration from your surroundings. The smallest thing – even a footprint in the snow – can lead to creativity! sewn with threads of frost. Scampered here not long ago. Frozen in time and crystals. A worthy goal, I agree. Is that a light did once shine.